Joseph at the time was the youngest of 11 brothers. Jacob, Joseph’s father loved Joseph so much because God gave him when he was old in age, so he was the favorite. Joseph started having dreams that to him made no sense. One of his dreams he dreamed that they were all in field gathering grain and Joseph bundle of grain stood up and his brother’s grain gathered around and bowed low before him. Another of his dreams was the sun, moon and 11 stars bowed down before him. So his brothers were angry with him because they thought that Joseph would be king. His brothers did not like that at all, he was already the favorite and learning that they would bow down to him made them furious. So they wanted to kill him, but one of his brothers Reuben, decided to throw him in a hole, and sell him. After Josephs brothers sold him as a slave (Genesis 37: 27, 28) he did not understand what was happening. I imagine Joseph was very angry that his own family, his own blood had sold him because of jealously. Potiphar took Joseph as a slave. God had everything planned out. Even though Joseph had no idea, God knew the plan, and every step going forward. I believe God made Joseph the favorite; Potiphar gave him free reign though he was a slave still. 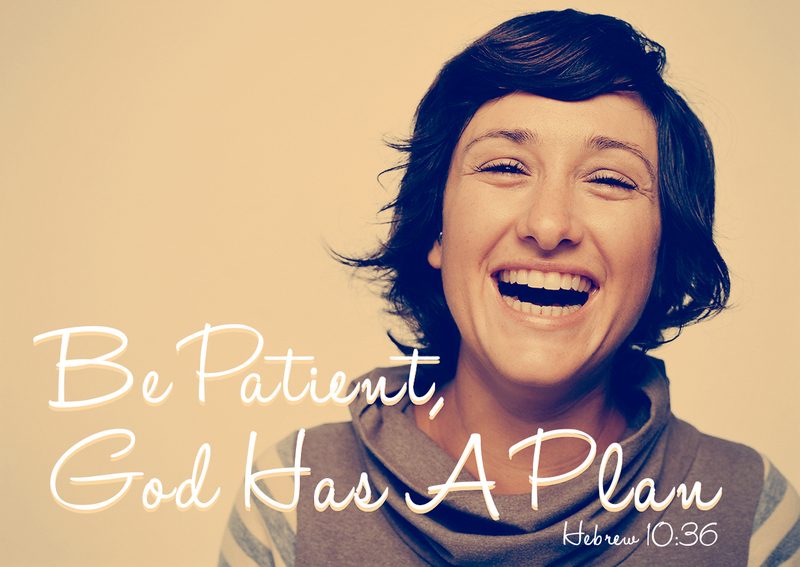 Joseph trusted God to work out his plan; he didn’t have the dreams he had for no reason. Joseph continued to work as a slave knowing someday he will be a leader of his people. One day, Joseph had ended up in jail for a crime he did not commit; Potiphar’s wife accused him of sexual assault. (Potiphar was Joseph master and he trusted Joseph with his life) so he became angry and threw Joseph in jail. He patiently waited as he still believed God would get him out. In the end God did lift Joseph up to be a great power and responsibility to his people. But while in jail, I believe Joseph was learning (where is the most common place where you go to learn?). Jail was a school where Joseph would learn to be patient and wait on the Lord. Until the Lord would decide to fulfill his purpose. In “school” (jail), Joseph had time to think, to pray, to meditate, and to focus on God. Sadly in life sometimes when life doesn’t agree with us, or something tragic happens (we lose our jobs, our families are not getting along, there’s no money, no car, no nothing, on a death bed) it takes something like this to happen so we can focus and get back on track. We easily get side tracked, with all the riches the world offers and we tend to forget about God. We need to praise God in the Good and in the Bad. Before Joseph was in jail, I believe he had it good. Even though he was still a slave, he was a favorite in the palace; he had access to everything, not like a normal slave. While in “school” (jail), he was focusing on the dreams God had given him back before he was sold into slavery. In the meantime he found a way to be productively responsible and to God’s will. To be honest, am not as patient as Joseph was. I am learning and trying to be though. Throughout my life I never knew how to wait. I had an idea and I wanted to jump right into not looking at the overview of the situation, or the consequences weather good or bad. And in the end everything failed. I was in a place where anger, depression, insecurities, doubt, and some other negative things controlled my life, just like the spirit of python. Everything that came out my mouth was negative towards me. I was sick of people, Monticello, Sullivan County, sick of feeling alone, sick of my marriage, I was even sick of this church. I didn’t know where I was going, what I was going to be, what I wanted to do. I was always looking for an answer all in the wrong places. Impatiently waiting. I would ask God when I was alone “why the heck you have me here, where do you want me to go”. And yet I wouldn’t hear anything from God, because my ears were shut out. I didn’t have my spiritual ears open, because I wasn’t that spiritual myself. After some personal issues were resolved with my family we decided we were going to go to Florida. Our minds have never been made up before as they were back then. Finally I thought a new beginning, a new life basically. Bebo (my husband) was going to move first. He already had a place with family, we were just waiting on our taxes and then in March he was leaving. I was going to go later with the girls, after he got settled. But I still had my doubts secretly, because I knew I wasn’t 100% with God, I would say I was maybe an 85% at that time. So I kept praying so God can give us the ok, so that I could feel a little more comfortable and at peace. So on a church service we had after the preaching was done, Bebo and I decided to go up for prayer. I knew and I had faith that God had a special word for us that night. But then what happens when we get up there, we wait, and wait, and wait, and wait, and wait. There was a lot of people up in the front for prayer and Bebo and I started arguing in the front because he was tired of standing, so he goes and sits down, and leaves me by myself up here looking all awkward and what not. But I still decided to wait and wait and even thou I HATE waiting I was going to be patient and wait for God to tell me what he had to say to me. I said God am not leaving until you speak to me, am going to stand here looking awkward by myself and wait for you. Then Bebo comes back, and like maybe 5 minutes or so later, the preacher (Juan Rivera Jr.) came to us, and my heart wanted to come out my chest, first thing that came out was Juan Rivera Jr.’s mouth was “you move when I say you move, you must first seek me and submit to me all the way, before you make any plans, because I have something better for you”. After he said that I said “am here, you are ruler of my life, you make all the decisions, and you are my father, where ever you say to go I will follow”. I had this incredible feeling inside me that I never felt before. This pastor had no idea of my personal life, and even though I was a little upset at the fact Florida was out the picture, I’m happy because it came from God, the only person who I ever cared to have an opinion about me. To end this I see myself as Joseph. Being here, the last place on earth I wanted to be, I believe this is my school. For how long, I don’t know. But it is here where i am going to learn and grow spiritually. Where my teachers are the leaders and pastors, and my principal is God. I am here for a reason and as much as the enemy wanted to trick me, God had the last say, right on time, regardless of my impatient behavior. I have a lot of work to do don’t get me wrong, learning to take it one day at a time, learning to be patient. Even though sometimes I find myself being impatient, I stop and think of my situation and just thank God he has me where he wants me. Be patient; don’t rush things because that’s when things can go wrong. Just get on your knees and P.U.S.H, Pray Until Something Happens.